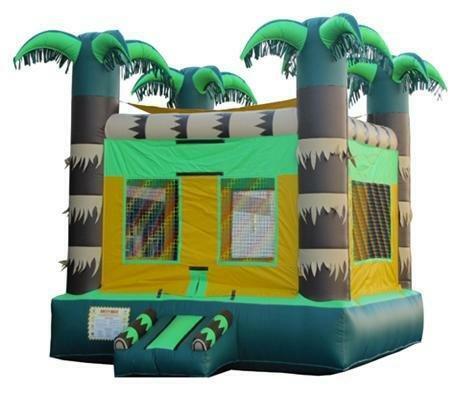 The Tropical Bounce House will provide hours of fun for the kids at your party. With four inflatable palm trees on the corners, kids will be thrilled to jump in paradise. Plus, the basketball hoop inside the bounce house will provide additional fun.